Between 1907 and 1910, this Bedford company offered taxicabs with a choice of 2 or 4 cylinder engines. In 1906 a unique cab over engine taxicab only ten feet long was introduced with a Glasgow-London demonstration drive. It was replaced by a conventional design with 12/14 HP engine in 1908. In 1910 the Argyll cab received the new Argyll 2.4 litre cast pair 4 cylinder engine. Production was never resumed after the First World War. The new Asquith Retro-cab embodies the form and flavour of the Austin High Lot with modern Ford running gear. Production seems only to have totalled 10. A modern cab design is believed to be in development. Austin’s first cab was presented to the Public Carriage Office in 1906, but failed to get approval. A newer version with the driver sitting beside the engine was presented in 1907 and was accepted. Ten of these cabs were run by the Taxi DeLuxe Company of Kensington. One surviving example can be seen at the British Motor Industry Heritage Centre at Gaydon, Warwickshire. A 15hp cab with a more conventional layout superseded the 1907 model a year later. Developed by co-operation between Austin, the coachbuilders Carbodies of Coventry and London taxi dealers Mann and Overton as a replacement for the obsolete 12/4, this experimental prototype dates from 1945. The FX used a 1800cc sidevalve engine, and was fitted with a pre-war body for testing purposes. The FX was underpowered, and was replaced by the FX2, which had an all-new chassis, a new 1.8 litre 14hp ohv petrol engine and a prototype coachbuilt body to exactly the same design as would be fitted to the FX3. It was registered as JXN 842 and worked in London for many years before being sold to York. The FX3 was offered with a 2.2litre ohv petrol engine and an all-steel body from Carbodies. It was available from 1948-1958. The first prototype FX3, JXN 841 went on test alongside the FX2, JXN 842. Aftermarket Perkins and Standard diesel engine conversions prompted Austin to develop their own diesel engine which appeared in 1956. A series of automatic test vehicles in 1957-58, of which two are known to survive. The hire car version of the FX3 had a front bench seat, forward facing tip up seats in the rear and with higher speed crown-wheel assembly. Four doors and no For Hire sign distinguish it. The ubiquitous FX4 appeared in 1958 (prototype VLW 431?) with a 2.2 litre diesel engine and automatic gearbox as standard. It remained, albeit heavily modified, in production until 1997. With the Mini, it stands as one of the longest lived British motor designs. Introduced in 1961, the gasoline powered version of the FX4 used a 2178 c.c. petrol engine. The diesel version was powered by a BMC K series (2.2 litre) or, from 1971, a British Leyland 25V (2.52 litre) engine. A manual gearbox was made available from 1961. The hire car version of the FX-4, lacking the For Hire sign, and with higher speed crown-wheel assembly. Carbodies developed this prototype independent of British Leyland and Mann and Overton during 1977-1979. It would have used a 2.5 litre Peugeot engine. Production was abandoned due to excessive tooling costs. Carbodies bought the intellectual rights to the FX4 and produced the cab under their own name from 1982. The Company continued to make the FX4D until October 1982. When the FX4R failed to sell as well as hoped, Carbodies began building the FX4Q, which used new and reconditioned parts in a cab powered by the old Austin engine, imported from India, alongside the FX4R. It was sold by Rebuilt Taxicabs in London’s East End. 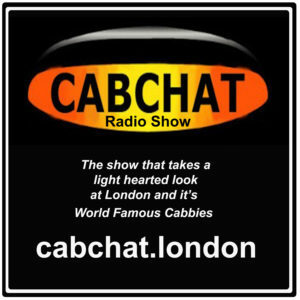 When Carbodies owner, Manganese Bronze plc, bought Mann and Overton, a new company, London Taxis International, was formed with two divisions: LTI Carbodies, to make the cabs; and LTI Mann and Overton, to sell them, principally in London. The first cab to bear the LTI name, this 1985-1987 variant of the FX4R was fitted with the 2.5 litre Rover diesel. Available during 1987-1988, the 5-seater FX-4S Plus was fitted with more driver amenities, and is distinguished by its grey interior. Three experimental prototypes were built using the FX5 chassis, Rover SD-1 running gear, a Land Rover diesel engine and a modified Range Rover body. It was planned for a 1984 introduction, but due to ever increasing development costs was never produced. This version of the FX-4 went into production in 1989. It was powered by a Nissan 2.7 litre diesel, coupled to a choice of a Nissan 4-speed automatic or 5-speed manual. It was the first FX4 to be wheelchair accessible. Introduced in 1993, the Fairway Driver featured all-new front suspension and brakes, with discs on the front. The last Fairway rolled off the production line October 1, 1997 and was immediately presented to the National Motor Museum at Beaulieu. It carries the registration number R1 PFX. The TX1 was shown at the Motor Show, October 14, 1997, and the first TX1 plated by the Public Carriag0e Office is R948 VOB. The TX1 uses the same running gear as the Fairway Driver, under an all-new five-seat body. The model number was as a result of an idea by LTI to return to Austin’s old numbering system. It is simply the word TAXI with the A removed. FX3 and FX4 chassis were available, and used as the basis for newspaper vans, hearses, flower cars, etc. At least two FX3 shooting brakes were constructed, one for the John O’Groats House Hotel, plus specials for oil magnate Nubar Gulbenkian. Two FX4 stretch limousines, one six door by hearse specialists Woodhall Nicholson and one four-door by Tickford, were constructed in the late 1980’s. The first Beardmore taxicab, 1919-1923. Fitted with Beardmore’s own 15.6 HP engine, it was in its time known as the Rolls-Royce of cabs. The steel and shipbuilding company of Beardmore was at this time the largest industrial conglomerate in Scotland. Production of the taxi was at Paisley, on the outskirts of Glasgow. The Super had few changes from the Mark I, limited mostly to a cleaning up of the original design, with more refined wing edges, etc. Production ended in 1926. Introduced in 1926, and produced until 1932, the Hyper was the first cab with four-wheel braking. It was substantially smaller and lighter than its predecessors, and was fitted with a 12.8 HP engine. It had a reputation for quickness and maneuverability, and was nicknamed the Farthing Cab. Following the end of production of the Mark III in 1932, Beardmore’s taxi division was bought out by its management and they moved taxi production from Scotland to the London service depot at Hendon. The Mark IV appeared from this site in 1934, powered by a 14 HP Commer engine. In 1935 Beardmore’s offered the Mark V, whose main difference from the previous model was a transmission with synchromesh on 3rd and 4th gears like the Austin TT and a longer wheelbase. This cab was sometimes called the Paramount, sometimes the Ace. The last pre-war Beardmore. It is notable that it was fitted with full synchromesh. Early conversion of Hendon to war production caused this cab to be discontinued in 1939. Built from 1954 to 1967, the Mark VII was far more advanced than its traditional appearance would suggest. Constructed of aluminium and glassfibre with Ford Consul running gear, it was one of the first taxis with hydraulically actuated brakes. Approximately 650 were built in 3 production series. Never progressing beyond a working prototype, the planned Mark VIII became the basis for the Metropolitan-Cammell-Weymann Metrocab. Bedford produced several a taxi prototypes based on its small CA van. In 1907 Belsize introduced a 14/16 HP taxicab. Taxis became, and remained, a major part of the company’s commercial output. When postwar production was resumed only the taxi and vans based on the 20 HP 4 cylinder engine were offered. Production was discontinued in 1925. Between September, 1897 and December, 1898 70 Bersey electric storage battery cabs, nicknamed “Hummingbirds”, were put on London streets by the London Electrical Cab Company, Walter C. Bersey, General Manager. Berseys were built by the Great Horseless Carriage Company, fitted with Mulliner bodies and powered by 3-1/2 horse power Lundell type motors with a range of 30 miles, and a top speed of 9 mph. An improved version with larger batteries was constructed by the Gloucester Railway Waggon Company. Breakdowns, coupled with the high cost of batteries and tyres made operations unprofitable, and the company was closed down in August, 1899. A single Bersey is preserved at Beaulieu. In 1954, cab operator Birch Brothers, Ltd. developed a prototype cab (SJJ 111) based on Standard running gear with body by Park Royal Vehicles. It was the first cab to be licensed in London with four doors. However, the layout was unconventional in that three passengers sat on the rear seat, and the fourth sat alongside the driver, facing rearwards. Luggage was carried in a rear compartment, which was accessed by a full height door on the nearside quarter of the body. Only the one prototype was made. The Brasier 10/12 HP vertical twin engined car with 3 speed transmission was marketed as a cab from 1908 to 1913. This unique body style with transverse sliding passenger door appeared in 1929, the design of Mr. W. Gowan of Cape Town, South Africa – hence the name. The first prototype was fitted to a Morris Commercial chassis, later versions, some by Arthur Mulliner, rode Austin running gear. Some bodies were constructed by New Avon Body Company. In all, over 100 were built during 1929-1936. Andre Citroen offered a 1.5 litre taxicab from 1923, and four wheel braking was standardised from 1926, when British assembly was commenced at Slough. In 1929, Citroen provided the mechanical components for a series of taxicabs built by the London General Cab Company. In 1920-25, BSA built a limited number (frame numbers W1- W100) of small three wheeled cabs using their Model E 770cc V- twin engine. By 1924, their Model G 986cc engine was standard. CD8953, a Brighton Ba-Tax cab, survives and has been restored. This well known commercial vehicle builder constructed a few taxis in its early years before car production was discontinued in 1913. In an project to further research into hybrid fuel vehicles, International Automotive Design of Worthing, Sussex, produced the Eurotaxi. Of van/MPV appearance, it was driven by a 50kw AC electric motor, which received its power via an onboard generator driven by a small diesel engine. Top speed was 65mph, and the range was 100 miles. Hillman offered a taxicab version of its 12/15 car with a 2.4 litre 4 cylinder L-head engine during 1909-1910. In 1907, Britain’s taxicab boom began, and Humber offered an Argyll-like cab-over design with seven foot wheelbase and 4 cylinder, 15 HP engines with coil ignition. In 1908, both cab- over and conventional designs were offered using the 10/12 HP engine, and a 2-1/2 litre Beeston-Humber with magneto ignition. In 1910, only the conventional 10/12 HP design was offered. Humber, Ltd. operated a fleet of 40 Humber cabs in London. London Coach was formed in May, 1984 to fill the need for purpose built cabs left by the 1982 decision by Checker Motors (USA) to discontinue cab production. EPA prototype testing was completed in August, 1985. These specialty vehicles were assembled in the US, using glider kits provided by Carbodies and fitted with 2.3 litre Ford engines and transmissions. Two models were available: The London Taxi and the London Sterling. The Sterling was a limousine version of the taxi. Both were available with or without air conditioning. Production for 1985-1986 was reported as 75 to the NHTSA, and estimated production for 1987 – 75. With the introduction of the Rover Sterling by ARCONA in 1987, London Coach was pressured to discontinue use of the Sterling name. Total production is estimated at 80-100. This subsidiary of Carbodies, Ltd. of Coventry was formed to produce the FX-4 when British Leyland discontinued taxi production in 1987. See discussion under Austin. Electrical equipment manufacturers Joseph Lucas introduced a prototype electric cab in October 1975. Several feet shorter than the FX4, it was powered by a 50bhp CAV motor, which gave it a top speed of 55mph. Its 100 mile range was somewhat limited by the battery technology of the day. The Metrocab design was based on models and early work for the Beardmore Mark VIII by Metro-Cammell-Weymann in conjunction with the London General Cab Company. Two of three developmental protoypes survive today, “Edgar” POE 629R, and UOK 729H which actually worked as a taxi in the in London in the General’s fleet. Introduced in 1987, this fibreglass-bodied cab was powered by a 2.5 litre- four cylinder Ford Transit direct injection diesel engine coupled to a Ford four-speed automatic or a five- speed manual gearbox. It was the first London cab to fully wheelchair accessible and to be licensed by the Public Carriage Office to carry four passengers. Reliant bought the Metrocab from MCW in 1989, and moved the plant to Tamworth, Staffordshire. When Reliant suffered financial trouble, Hooper bought Metrocab and began a steady programme of improvement. In late 1992 the Metrocab became the first London cab to be fitted with disc brakes as standard. Six- and seven seat versions followed. The restyled Series II was introduced in 1997 and featured a great many detail improvements. In 2000 a turbocharged Toyota engine replaced the Ford in the TTT model. Lord Nuffield’s organisation produced a line of taxicabs under the Morris Commercial name during the late 1920s and 1930’s. From 1929, Morris offered a cab powered by its 4 cylinder 1.8 litre Oxford car engine, based on the unsuccessful Empire Oxford car. This smaller version of the G, introduced in 1931, was known as the “Junior”. Introduced in 1932, a 15hp side valve 6 cylinder engine was fitted. A well-built cab, it was popular with owner-drivers. A newer version of the G2S introduced in 1937, this cab had a 1.8 litre overhead valve six-cylinder engine rated at 14hp. To date, the Morris is the only maker of London cab to fit six-cylinder engines. D. Napier & Son, Ltd., of Acton, produced a taxi which from 1908-1911 was their primary commercial vehicle offering and which very substantially exceeded car production. These cabs featured an L-head engine, 3 forward speeds and shaft drive. They were offered in either a 1.3 liter 2 cylinder form, or 2.7 litre 15 HP 4 cylinder form. The 4 cylinder taxi was extensively exported. The French built Prunel had the distinction, in 1903, of being the first motor cab to be licensed to work in London. Operated by the Express Motor Service Company, it had a two-seat Hansom body, a 12hp Aster engine and chain drive. This old French maker supplied taxis to Paris. In 1907 the General Motor Cab Company of Brixton bought 500 2-cylinder Renault cabs. With a 2-cylinder engine of 8-9hp they were somewhat underpowered. They ran until the General began replacing them with Unics. This fibreglass taxi was developed and built by Winchester Automobiles (West End) Ltd., a subsidiary of the Westminster Insurance Group, after consultation with cabmen. The result was a conservatively styled low maintenance vehicle, which was manufactured in several models from 1963-1972. The Mark I was powered by a Perkins 4.99 diesel and had two-tone grey paint. The Mk II shared the same body as the MkI, but had a 1.7 litre Ford Transit petrol engine. Using the Ford Transit engine, this version had an all- new chassis by Keewest. The MkIV had an all-new body on the MkIII chassis and its Fords Transit engine. This French cab was extremely popular with London operators for 25 years (1907-1932). It started life in London in 1907, powered by a 2-cylinder engine. Post war versions were little different from their Edwardian predecessors, although now fitted with four-cylinder engines. High import duties and the sheer antiquity of the cab prompted Unic’s dealers, Mann and Overton, to seek a replacement, which they found in the Austin 12/4. A new model from Unic, built in Britain by United Motors, the 1930 KF1 was heavy and expensive. Few were sold. In 1905, Vauxhall offered a 3-cylinder Motor Hansom for taxi service. In 1922 Vulcan introduced a 2.6 litre, T-head taxicab. In 1928, car production was abandoned, and by 1931 Vulcan was in receivership.